This two bedroom unit is in the heart of it all. 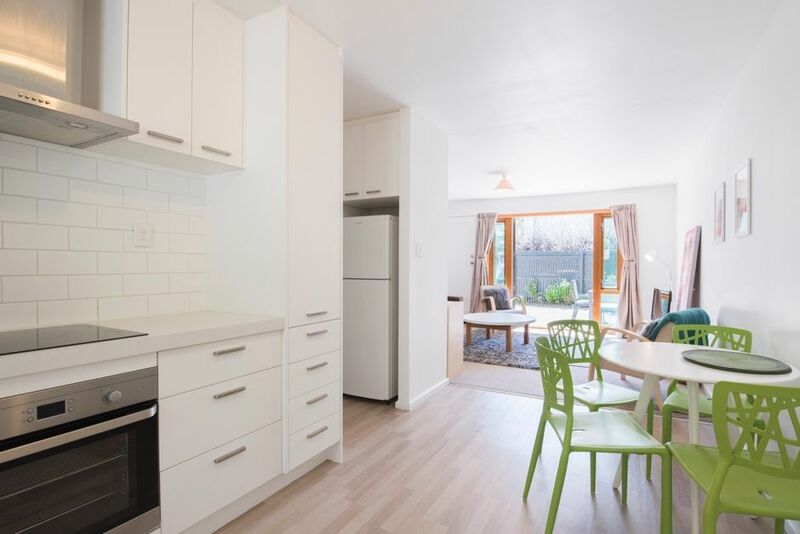 Located just a short 5 minute walk to Victoria St, 20 minute stroll to the city centre where you will find trams and the rebuild, restaurants and markets. It is just a 10 minute walk to Merivale or Edgeware Village. You are surrounded by bars and restaurants, right next door to Hagely park and have public transport on your doorstep. The unit has been tastefully renovated and offers a modern light filled spacious space. The space is tastefully renovated and has everything you need. It will be your home away from home. It is very comfortable and such a great location. We have luxury 5 star hotel grade sheets and towels. You have the entire unit to yourself. We live in Christchurch though in a different suburb so only a phone call or and email away. Access to the house is via a secure key lock box. We ask that you treat the house as you would your own. We are not on site though do live in Christchurch. We prefer to offer our unit as a hotel style arrangement. In saying that we are only a phone call or email away and would love to help you with any recommendations on things to do or places to go. If you have any problems please contact us and we will be on to it immediately. Also we have a great face bk page that has up to date information on the surrounding ski fields, road reports and new and exciting things to do, eat and see around Christchurch!!! - Please leave the unit in the same condition you found it. - Please do not obstruct the driveway with your vehicles. There is plenty of free and safe parking on the street. Tidy compact with everything you need. Tidy compact with everything you need. Quiet but close to town. Can really comment on the property as I didn't stay here. Can really comment on the property as I didn't stay here. However I book on behalf of parents and then when I come over I usually stay in the same place. Parents said it was ok, with a basic clean. Owner turned up with chocolates and wine to say sorry for communication. Would I book here again - No. Coomunication an issue and when mum was cleaning on the last day, she found g-strings in the wardrobe! This person has never stayed at my property. i take full responsibility for the communication break down hence the continued effort to apologise by offering gifts and grandchildren to stay free of charge. The apartment is professionally cleaned after each guest. Unfortunately due to the complicated scenario of booking on people behalf problems arised. The guests feedback is more of a spiteful retaliation. I wish her all the best.